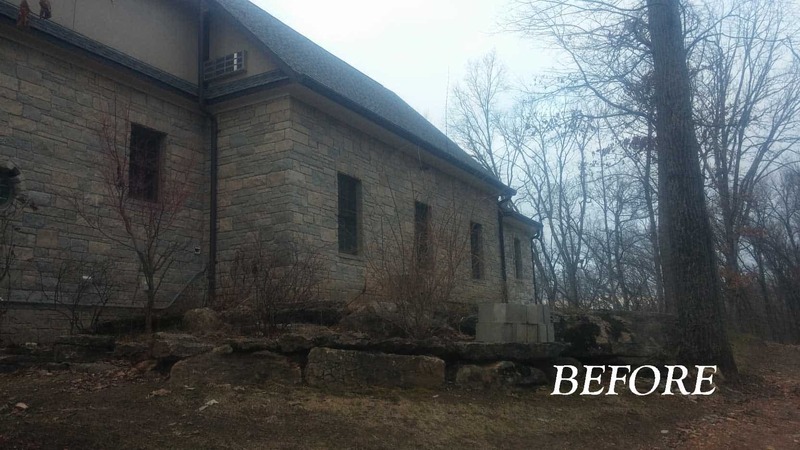 The landscaping around our client’s home had become overgrown and didn’t match the elegance of the architecture. 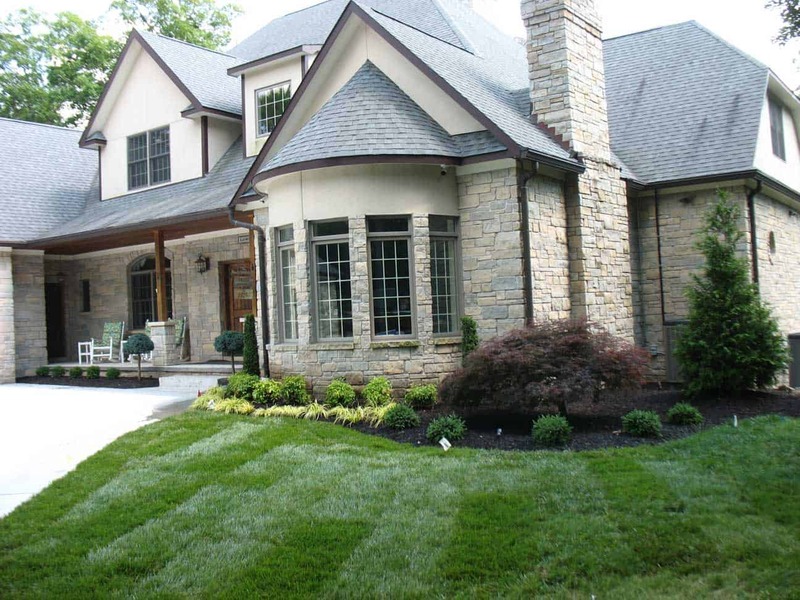 Our client wanted a cohesive master plan that tied in the planting beds areas around the foundation of the house, new garage and pavilion, and the stand of mature trees in the front yard. 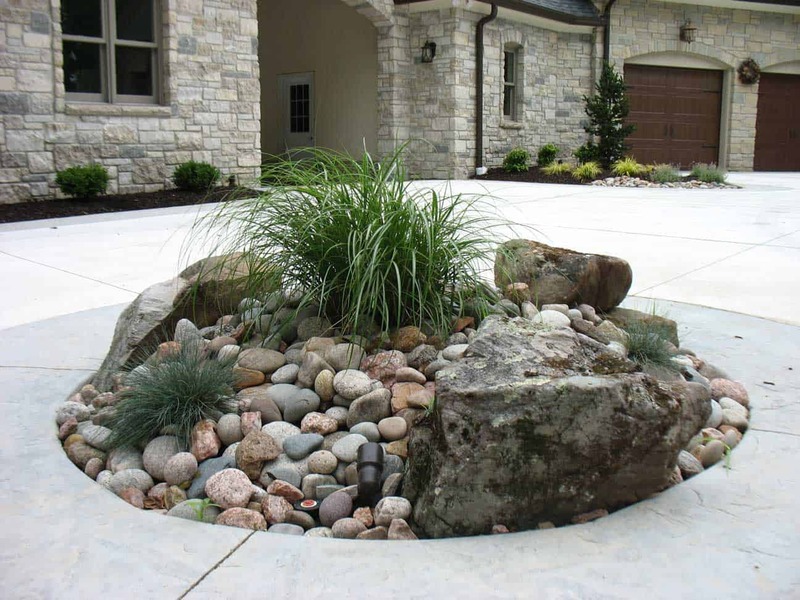 To solve the safety issue of the small driveway planter, a design of tall, hardy ornamental grasses with decorative boulders to buffet car tires was suggested. Slow growing plants were laid out in a clean and simple fashion around the front foundation while still in the woodland style the client had hoped for. Around the side of the house, a natural flagstone path was designed for a casual walkway to the pool. 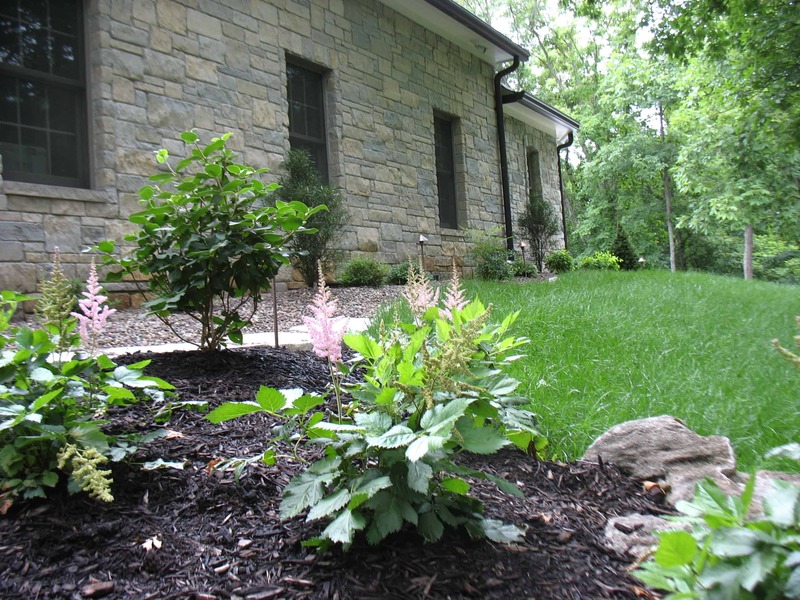 A variety of blooming, evergreen and perennial plants adorned the home for seasonal color and interest. 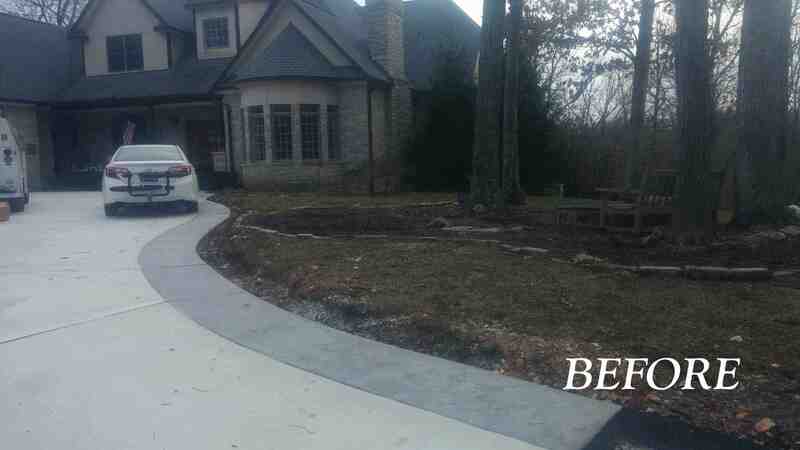 Landscape lighting was added to up light the home and light the pathways. An irrigation system was installed to help water the new plantings and lawn. Finally, the yard was graded with topsoil and new, lush green carpet of sod installed.